"; var theHome = "
Simplify strategic planning and risk management by aligning corporate and operational goals. Integrate strategic plans into the day-to-day business operations by managing hard and soft KPIs against defined measures. Drive improvements and challenge the status quo to deliver a re-energised corporate vision aligned throughout the entire organisation. Performance Planning delivers integrated strategic and operational planning processes, while aligning the philosophies of quadruple bottom line reporting of environmental, social, economic and governance performance. With Ci Anywhere MyRequisitions, the JCU procurement team have more time to focus on strategic advice for staff and students. 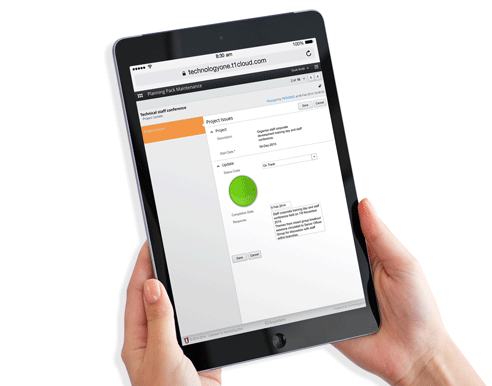 MyRequisitions enables staff to manage approvals and requisitions on their mobile devices at any time. Experience the power of a single, integrated enterprise solution built on a single modern platform with a consistent look and feel.